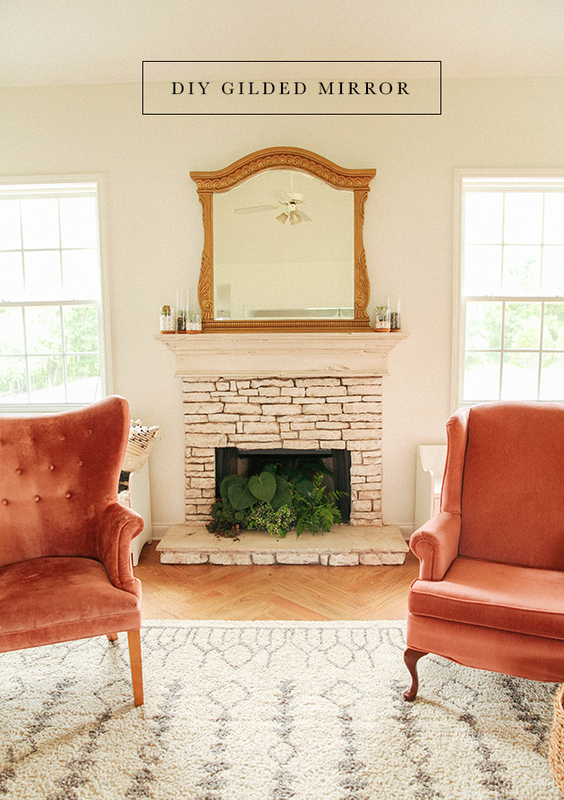 We searched high and low for this round up of mantle mirrors, and these were the finalists! 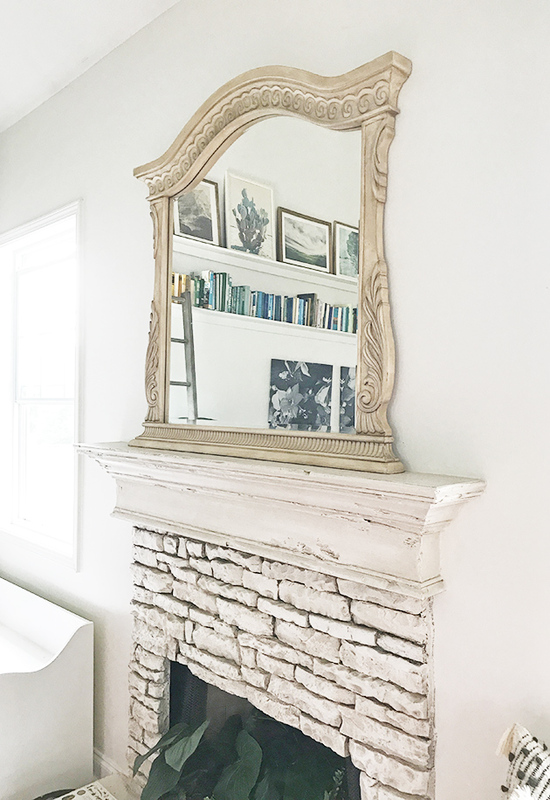 However, if you are feeling nifty, I am including how I gilded our current mantle mirror that Gabe found for $30 at a local flea market. It took me twenty minutes so promise it’s easy! 1. Use painters tape to tape down paper around the inside of your mirror. Fold and crease along the edges until the entire mirror is covered. You don’t want spray paint to get on the mirror. You can however quickly wipe it off if that happens and you should be ok.
2. Use a metallic spray paint to spray on one coat for the base. Most spray paints lean towards a yellow base, but if you can find a gold that looks more bronzey, that is your best bet for a more realistic gilded look. Rust-oleum or Krylon work well. 3. After it dries, paint over the top with a gold craft paint. I used this one from Michaels. Let the paint dry thoroughly. I really like the look of this bronze paint as well. 4. Using sand paper, rub some of the edges and flat surface areas to distress the look. This is what really makes a difference since an even surface tends to look plastic. Outside I still was unsure about the color, but when I brought it indoors and took a few step back it looked like exactly what I was aiming for. Mirrors are pricey! If you don’t feel like forking over the money, look on facebook marketplace. People get rid of mirrors all the time for $30- $40. Let me know what else you would like to see here on IHOD that will be helpful in making your house feel like home! *If you tried to get in touch with us via our contact form in the last few months, we never received your message! Unfortunately we didn’t realize it wasn’t working until last week, so feel free to reach out again and we will get back to you as soon as possible. Nice, never knew I could even DIY these mirrors. Love it! OMG! So glad I popped into your blog today and found this. I have a large thrift store wood mirror that I wanted to gild but was not sure how to approach the process. This is perfect! Thank you! Oh I am so happy it could help! Let me know how it goes! Hi Ellie! We had a glitch with the sign up form, so will do a post when it is actually ready to go. Sorry about that!